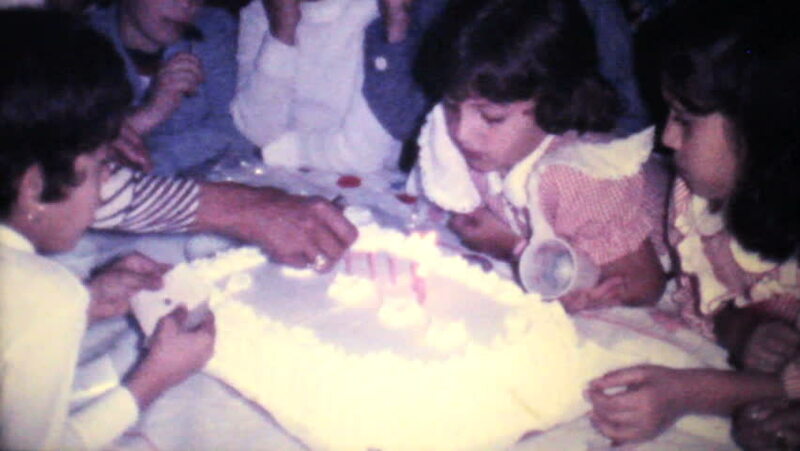 CARACAS, VENEZUELA, JUNE 1978: A cute little girl celebrates her sixth birthday in 1978 by blowing out the candles on her birthday cake in Caracas, Venezuela. 4k00:07FARRAGUT, IDAHO 1967: Mourning after clean up last day goodbyes 12th World Scout Jamboree. hd00:15The text The Wedding appears over a set of spinning circles with a lens flare at the beginning. Dotty grindhouse low-budget b-movie style. hd00:13Dolly shot. Wedding rings and bouquet.